Religion has taken some hits as of late. 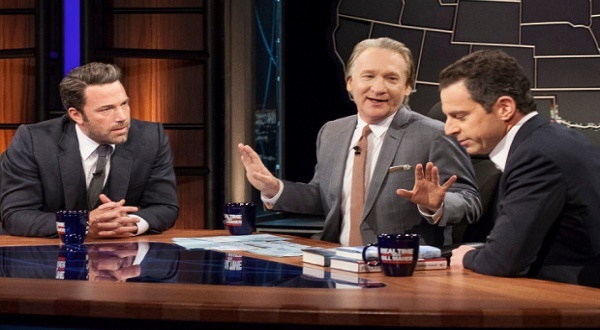 Comedian and self described atheist Bill Maher makes it his business to go after religion on just about every HBO broadcast show that bears his name. I agree with probably 90% of what he says about certain religious doctrines, whether it be from Judaism, Christianity or Islam. (The main three in America) It’s the other 10% that I don’t agree with that bothers me. This isn’t just Maher’s shortcoming. It’s the problem with many atheist who go on the offensive slandering people of differing faiths. I have been arguing Aslan’s point for years, even when I was in church! Christianity in action is as vast as the planet we live on. Christian sects and denominations both emphasize and de-emphasize differing parts of the bible in a way that suits their preferences. Biblical scriptures have been used as a means to free slaves and justify slavery. I once stood up in church and said, “There are two different Jesus’ in America. Ones a progressive and the other a white supremacist.” It’s the same with Muslims and the Koran. Differing sects value and dismiss aspects of their holy book in a way that is satisfactory to their own internal ethics. Therefore, it is unsophisticated and indeed pointless to argue religion and religious philosophies as a world view, as opposed to targeted discrimination, crimes, and ‘human’ atrocities. As an example of targeting and respect, I take religious folk to task often when I believe they use their religious doctrine to oppress others. And yet there are times as a sports official that I work in Christian environments. When I go to a school that happens to pray before sporting events, I don’t have to bow my head. But I do. Every prayer in this case revolves around being thankful, praying for the safety of the participants, (children) and often attitudes during competition. I am for all of these. I respect the spirit of that prayer. Religions are neither good nor bad. It’s people that build or destroy. Religion is often a justification for either. I have yet to see a Koran behead a man. The bible never enslaved anyone. These are books, whether one believes the words within to be sacred text or not. Blaming religion for crimes and injustices is like blaming Facebook when a spouse cheats. If many atheist had their way they would eliminate all religions yesterday. But that wouldn’t take away the tendency of man to separate, discriminate or oppress one another based on other factors such as class, ethnic background, eye color, height and any other difference we have between one another. It’s just how we roll. Humans tend to want to be a part of something. Being a part of a group makes people feel significant and validated. That’s neither good nor bad. It’s benign. The issue is a lack of respect for others; dismissing other faiths/beliefs with an, ‘I’m right you’re wrong’ attitude. People have used religion to justify and execute their own prejudices for thousands of years. Religion is used as a method to get rich by many of it’s leaders. But so are politics. I’m reticent to curse religion by definition. Simply because as much that can be said against it, equally true people are religiously motivated to serve humanity and better our world. They feed the poor, visit the sick, fund worthy projects that serve the least of us, and so forth. They pray for others as means of offering comfort and support. This brings me back to the atheist and the original point of this blog. They should not be put in a box either. Some tend to their own business and leave religious folk alone. But far too many lately have turned into a vicious gang of bullies looking to defame and crush any and everyone who chooses to have faith in something beyond themselves. Just like a religious zealot, these god-less zealots stand on high pointing a ‘superior’ finger at entire groups who don’t share their views. Their jokes, condescension and ridicule are no more refined as the religious bigots they abhor. What makes you so great? What gives you moral authority? You who had no say whatsoever in your own existence, when you were born, what family you were born into, or what country. Neil Degrass Tyson speeches may challenge the life span of the earth as compared to the bible, but they have not nor will they conclude beyond reasonable doubt that there is no supreme being behind what is seen and unseen. Science is not an enemy to origin, only towards certain dogma. You can’t explain the origins of LIFE…or why if life reproduces after life, (reproduction) what are the origins of original life. Can you explain intuition if it’s not spiritual? What is the point of natural life as we know it? I don’t know and you sure as hell don’t either! In essence you have FAITH that there is no supreme being. Scientific discoveries are ever expanding. But it merely explains what was already there before ‘discovery.’ What is understood today will be expanded upon further or even refuted 25 years from now. And yet you stand unwavering not just against religious dogma, (which I happen to stand with you on) but the existence of supreme altogether. Sorry, you are not exempt in this faith game. The most effective way to oppose the degradation of people in the name of religion is to target our attacks. There is no ambiguity when it comes to ISIS for instance. They are a bunch of rag tag psychopaths. Just because they claim to be Muslim doesn’t mean there is a Muslim problem. It’s an ISIS problem. I don’t care what Christians, Muslims or Jews think of homosexuals, black folk and many other issues in society. I do care about actions that hurt, harm or discriminate against people. For the rest of what is left of civilization as we know it, people are going to believe different things. Blaming their beliefs solely for their actions is not going to cut it. I suggest non believers start from where you are and ‘evolve’ in learning to find commonalities. Educate without all the personal hate. Enough with your high horse already! 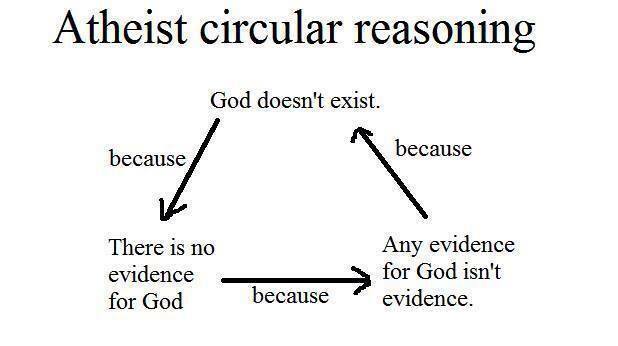 If your dogma can’t handle this, then your atheism is too a religion.